After 12 years in the meal delivery business, initially in New York City and more recently in Southern California, Marianna Rossano decided to establish a higher standard of quality by launching her new venture—Z.E.N. Foods. Z.E.N., which stands for “Zero Effort Nutrition” delivers clean, healthy and tasty meals, tailored to clients’ specific dietary needs, right to their door. “Clients can just open the insulated bag, enjoy delicious food and lose weight, with Zero Effort,” Rossano says. Every day, clients receive a cooler bag with a freshly prepared breakfast, lunch, snack, dinner, and dessert. A sample day could include blueberry yogurt pancakes with blueberry compote and ricotta cream, a lunch of grilled chicken, strawberries, walnuts and shaved jicama on baby greens, a snack of crab cakes, dinner of honey-glazed salmon with whole-wheat couscous and brocollini, along with a petite blueberry cream pie for dessert. Menus are designed by top dietitians and nutritionists with anti-aging superfoods and antioxidants, free of trans-fats, artificial sweeteners and preservatives, and calorie controlled. Meals are based on a 40-30-30 philosophy: 40 percent complex carbohydrates, 30 percent lean protein and 30 percent healthy fats. Portion control combined with the proper balance of healthy carbohydrates, mono-unsaturated fats and lean proteins is the perfect prescription for weight loss. Z.E.N. employs it’s own nutritionists, which have helped many celebrities reach their goals. David Allen, who has worked with Rossano for six years, has facilitated transformations such as Janet Jackson’s well-publicized weight loss. Allen has been recognized as the guru of weight loss. There is also the Z.E.N. Cleanse for those who want to loose a substantial amount of weight in six weeks. “People eat along with the cleanse, not just cleanse and starve themselves; which is not the way to loose weight,” Rossano said. 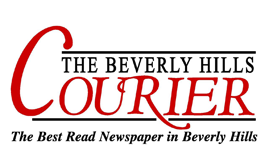 Those who visit www.ZENFoods.-com or call 818-764-9368 and mention The Beverly Hills Courier will receive a special trial week offer with two of the seven days free.